Hyderabad, Mar 06: Candidates seeking admission into engineering, agriculture and pharmacy can apply for the EAMCET exam from today. They are further advised to go through the official notification before applying for the exam. 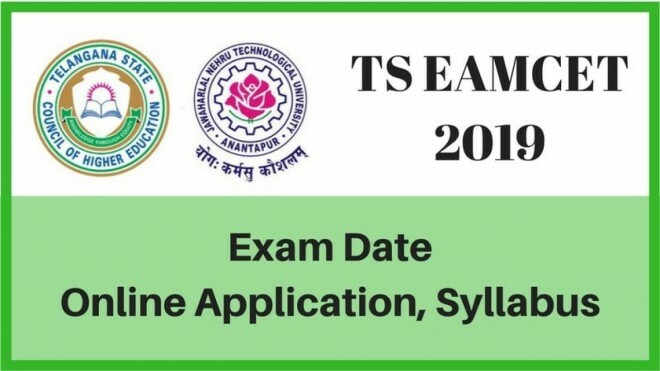 The exam will be conducted by Jawaharlal Nehru Technological University (JNTUH) on behalf of Telangana State Council of Higher Education (TSCHE) from May 3 to 6 for engineering stream and from May 8 to May 9 for agriculture and pharmacy. The duration of the exam is for three hours i.e from 10 am to 1 pm. The last date to apply for the exam is April 5, 2019.